All the images are linked back to the sources and to view them in a larger size, just click them. Brocken Spectre, also called Brocken Bow or Mountain Spectre is a kind of rainbow. The “spectre” is made when the sun shines from behind a photographer who is standing on a mountain, looking down from a ridge or the peak and into mist or fog. In almost every photo, you see a magnified shadow of the observer. The phenomenon can appear on any misty mountainside or cloud bank, or even from a plane. Harz Mountains in Germany are the playground for this natural extravaganza this place is the origin for the word “Brocken Spectre”. In german, it is called Brockengespenst. Also known as the Northern Ligths, is considered one of the most mesmerizing natural spectacles of all. The name of roman goddess of dawn Aurora and greek word Boreas meaning wind, are the origins for this term. This is a blazing shining light in the sky, mostly seen in the night times in the Arctic and Antarctic polar circles, this fact also gives them the name of Polar Lights. Like eclipse, in old days this phenomenon also had many myths connected to it, such as Dance of the Spirits. 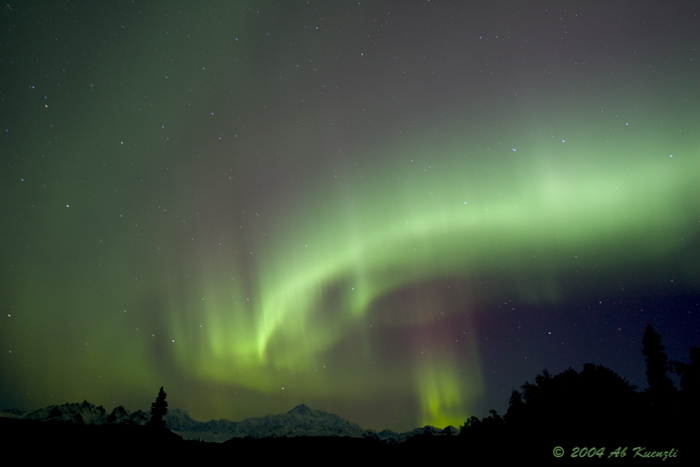 Auroras are caused by the collision of charged particles directed by the Earth’s magnetic field. More than 90% of the world has never seen this, if you have, brag about it! In fluid dynamics, gravity waves are waves generated in a fluid medium or at the interface between two media (e.g., the atmosphere and the ocean) which has the restoring force of gravity or buoyancy. When a fluid element is displaced on an interface or internally to a region with a different density, gravity tries to restore the parcel toward equilibrium resulting in an oscillation about the equilibrium state or wave orbit. Gravity waves on an air–sea interface are called surface gravity waves or surface waves while internal gravity waves are called internal waves. Wind-generated waves on the water surface are examples of gravity waves, and tsunamis and ocean tides are others. I heard truth is stranger than fiction. Dead Right…! This phenomenon is a perfect example to prove this quote correct. After every few decades, at the coast of Sydney, this happens. The whole beach becomes a gigantic cup of cappuccino. Last time it happened was in 2007. See this news article at Daily Mail for more details, this also is the source for the following pictures. The correct name is circumhorizontal arc. This actually is an ice halo formed by platter shaped crystals of ice up above in the sky. The colors are formed through the same procedure as in common rainbows. Acircumhorizontal arcis anoptical phenomenon– an ice-halo formed by plate shaped ice crystals in high levelcirrus clouds. The current accepted names are circumhorizon arc or lower symmetric 46° plate arc. The complete halo is a huge, multi-coloured band running parallel to the horizon with its center beneath the sun. The distance below the sun is twice as far as the common 22-degree halo. Red is the uppermost colour. Often, when the halo forming cloud is small or patchy, only fragments of the arc are seen.